Last night at dinner I was having a conversation with a mental health professional. She told me that she was seeing so many patients diagnosed with bipolar disorder and then getting better on the medication. In typical fashion, I wanted to scream. The diagnosis of bipolar disorder should NOT be made based on a response to a medication. Our mood stabilizing medications make a lot of people feel good. They feel calmer and more in control of themselves. This positive response to medication does not imply that they suffer with a major psychiatric illness called Bipolar Disorder. 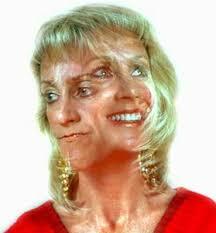 Bipolar Disorder occurs in 1% of the population. This is a psychiatric diagnosis is defined by the presence of an abnormally elevated mood, referred to as mania. The onset of full symptoms generally occurs between 15 and 25. Bipolar disorder used to be called manic-depressive illness. This term was coined by the German psychiatrist Emil Kraeplin in the late nineteenth century. There is no blood test to confirm the diagnosis. This means that any doctor can say a person has it. A clinical diagnosis depends on the clinician. Herein lies the dilemma. In my mind, doctors are overdiagnosing this condition because physicians want to label a condition as opposed to seeming uncertain. It is this need for certainty which I feel we need to change. Many people will respond to mood stabilizers and not have bipolar disorder, so we need to tell them that we do not know their diagnosis, but we do know how to treat it. Although this may be unsettling, often times this is the truth. As a profession, we need to see how labels can hurt people and as such, it is sometimes better to remain uncertain in the diagnosis instead of prematurely labeling someone. To put it another way, if we do not embrace uncertainty, who will?